Low-fat diets are no more effective than high-fat diets for long-term weight loss. Low-carbohydrate diets led to significantly greater weight loss than low-fat diets. The low-carbohydrate diet is more effective in reducing cardiovascular risk factor than the low-fat diet. Obesity is a medical condition in which excess body fat has accumulated to the extent that it may have a negative effect on health (WHO, 2015). It is one of the biggest health concerns in communities across the United States, with about 70 percent of county officials ranking it as a leading problem where they live. Across the United States, more than one in three adults and one in six children (ages 2-19) are obese — and one in 11 young children (ages 2-5) are obese. Individuals who are obese are at increased risk for type 2 diabetes, heart disease, some forms of cancer, dementia and several other health diseases (State of Obesity, 2018). Discussion of the data and the statistical analysis of the health risks for obese individuals has prompted concerns and a health crisis, with researchers strongly recommending taking care of our health by preventing the increase of BMI. Among the variety of methods on how to lose weight, there have been many studies that analyzed which diet is the most effective in weight loss. In a study where the objective was to examine the effects of a low-carbohydrate diet compared with a low-fat diet on body weight and cardiovascular risk factors, researchers showed that the low-carbohydrate diet was more effective for weight loss and cardiovascular risk factor reduction than the low-fat diet. Restricting carbohydrate may be an option for persons seeking to lose weight and reducing cardiovascular risk factors (Bazzano et al., 2014). An analysis of 53 weight-loss studies that included more than 68,000 human subjects had concluded that, despite the popularity, low-fat diets are no more effective than high-fat diets for long-term weight loss. Researchers postulated that low-fat diets would not be associated with greater weight loss than other interventions. The results yielded no statistically meaningful difference between low-fat diets and high-fat diets overall. In their study, researchers showed that in the weight loss trials, low-carbohydrate interventions led to significantly greater weight loss than low-fat interventions and high-fat interventions. (Tobias et al., 2015). 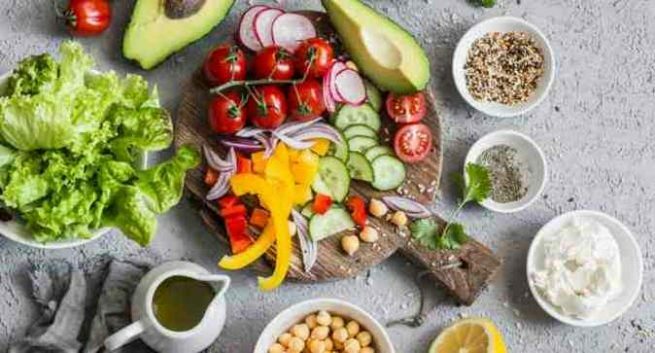 As far as weight loss is concerned, the study suggests that there is no need to limit healthy fats (such as unsaturated fats in olives, avocados, and fatty fish). Saturated fats are still thought to be associated with poor heart health, including heart attacks and stroke, and should be limited, so the study didn’t address this health concerns. Researchers suggest that there is no diet that’s perfect and that every diet should be personalized. COPYRIGHT: This article is the property of We Speak Science, a nonprofit institution co-founded by Dr. Detina Zalli (Harvard University) and Dr. Argita Zalli (Imperial College London). The article is written by Dardan Beqaj, M.Sc. Microbiology, Eberhard-Karls University of Tübingen). Bazzano LA, Hu T, Reynolds K, et al. Effects of Low-Carbohydrate and Low-Fat Diets: A Randomized Trial. Annals of internal medicine. 2014;161(5):309-318. Tobias, Deirdre K., et al. “Effect of low-fat diet interventions versus other diet interventions on long-term weight change in adults: a systematic review and meta-analysis.” The lancet Diabetes & endocrinology 3.12 (2015): 968-979.